Jason Prentis is probably a familiar name to a lot of you reading this. If you live in West Norwood or Streatham, or you’re a member of West Norwood Local, a community group on Facebook, you’ll have seen Jason’s name pop up on numerous occasions. It’s often related to his job at Veolia, which provides environmental maintenance for Lambeth. It’s also because of his great presence in the community; responding to queries about fly-tipping, abandoned cars and supporting community improvement initiatives. So much so that he has become a much-loved and well respected member of the south east London community. I first met Jason towards the end of last year when I became a Street champion, and wanted advice on how to help improve the environment for my family and for my neighbours. It was after this meeting that I forged the idea of Norwood Collective and celebrating our Local Green Heroes. It only seems right then, that we start with Jason. 1. Tell me a bit about what you do? I’m part of the Communications, Education & Outreach Team at Veolia. We provide Lambeth’s recycling, waste and street cleaning services, and my role within that is to help residents play their part, encouraging them to reduce, reuse or recycle as much waste as possible. I look after Streatham and ‘Norwood’, which for us includes Gipsy Hill, Knight’s Hill, Tulse Hill and even some of Brixton Hill. It’s good for staying fit (ish). I also run projects such as Street Champions and Freshview that allow residents to be a bit more hands-on in shaping their environment. I’ve helped build hundreds of planters around Lambeth; they can prevent fly-tipping, and we fill them with compost that’s made from Lambeth residents’ garden and food waste. That’s the circular economy in action! 2. What does a typical day at work look like? Luckily for me, my job is so varied that there’s no such thing as a typical day at work. 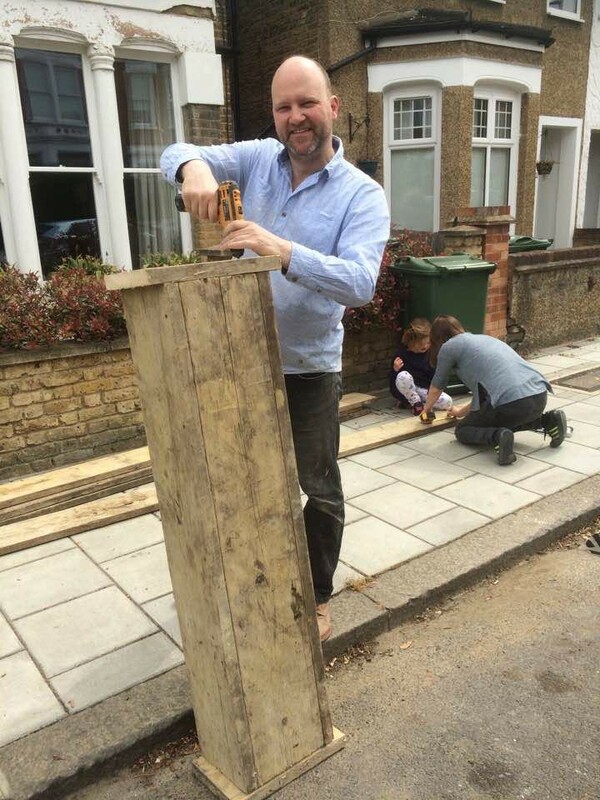 I do all sorts — designing leaflets, writing press releases, visiting schools and businesses, inspecting street cleanliness, delivering planter-building workshops, browsing Facebook (I’m a member of the West Norwood Local group — very handy for hearing the word on the street! ), and generally helping residents and communities do great things. 3. You’ve been involved in lots of great projects, such as the Tritton Vale Pocket Garden — do you have a favourite project or know of a project which has produced significant environmental improvement? You’ve hit the nail on the head — Tritton Vale Pocket Garden is amazing. The people who run it are amazing too — they’ve turned a dull grass verge into a fantastic resource for the whole community in the space of a few short months. Jessica started it all off — she’s a Street Champion, and invited me to come and meet her to discuss the project when the area was just a grass verge with a few piles of dog poo on it. She galvanised the community with the help of neighbours, they raised money, got local businesses and schools involved… They did everything right — it was textbook stuff. I’m full of admiration for them, because they’re busy people with jobs and families and so on, yet they still managed to create a garden from scratch. I go past there quite often and feel really proud that I was able to play a small part in it. 4. Are there any exciting projects coming up? Yes! 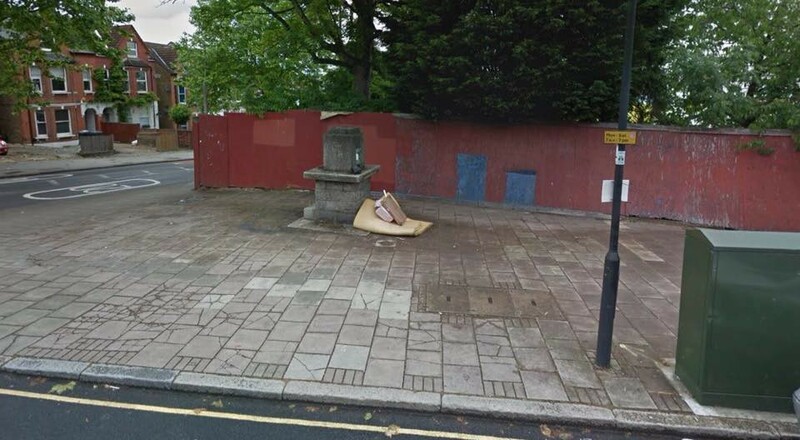 There’s an area of pavement that people just love fly-tipping on at the corner of Chapel Road and Knight’s Hill. The Station to Station Business Improvement District is funding a community garden project there. We’re (provisionally) calling it the West Norwood Gateway Garden, due to its location. Thousands of people go past there every day on their way into or through West Norwood. It’ll be lovely when what they see brings a smile to their faces rather than a frown. I posted letters to all the local residents asking people to get involved, and received a response from a garden designer called Tessa Parikian who lives nearby. So she’s designing the garden, and thanks to the power of Facebook I’ve managed to get loads of support from other local residents. We’ll be building and planting the garden on the weekend of 17–18 March. I hope Norwood Collective will be able to come along too! 5. What advice would you give to someone wanting to improve their local environment? Start with yourself — make sure you’re recycling the right things. We’re still getting a lot of plastic bags in recycling bins, but they’re not recyclable. You can store recycling in any container you like within your home — a bin or a bag — and then the items should be tipped into the recycling bin loose and the container can then be reused. If someone wants to improve their local environment more widely, they can become a Street Champion. They’ll then have privileged access to a representative of the council, i.e. me, and I’ll be able to help them with all sorts of things. I can provide tools and materials for litter-picking or other street improvements, I can advise on all kinds of waste- and street cleaning-related issues, I can help organise street parties, provide communications materials, posters leaflets… Not superhero capes, though. They’re optional! Thank you Jason for taking the time to talk to us and for telling us more about your role in the Streatham and Norwood community. To find out more about becoming a Street Champion, go to https://www.lambeth.gov.uk/become-a-street-champion. I’ll shortly be publishing my toolkit for Street Champions on this blog — watch this space.